The University of New Brunswick’s faculty of kinesiology and the Quebec Breast Cancer Foundation are teaming up to fight breast cancer with exercise. Twice a week, women who have been diagnosed with breast cancer are invited to take part in a breast cancer walking group. The program is free to attend and aims to support all women touched by breast cancer – from those currently living with the disease to survivors. 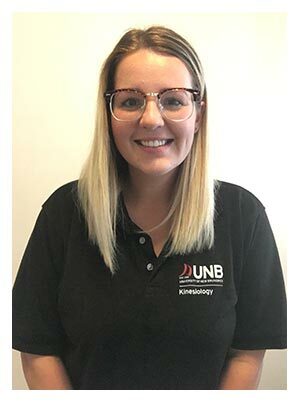 The walking group is led and organized by Courtni Ruth-Anne Soucy, a current UNB kinesiology graduate student. In New Brunswick alone, 580 women were diagnosed with breast cancer in 2016. The overall survival rate after five years is 87 per cent and 82 per cent after 10 years. As the percentage of survivors increase, researchers are collecting more information to further improve the quality of life of women during and after breast cancer treatment. The walking group program received $60,000 in funding from the Quebec Breast Cancer Foundation through Ultramar and a further $29,000 from the New Brunswick Health Research Foundation. The funds will go towards research, as well as towards creating awareness and the capacity to prescribe exercise to Atlantic Canadian cancer patients. Participants meet at the Lady Beaverbrook Arena (411 University Ave.) and walk on the Fredericton walking trails for 45 to 60 minutes every session. The group is inclusive of family members, caregivers, loved ones and pets. “We are hoping that some of the women who attend will make connections and continue to walk and exercise together after the walk is finished in September,” says Ms. Soucy. Walks take place every Tuesday from noon to 1 p.m. and Thursday from 6 to 7 p.m. Participants are encouraged to dress comfortably and for the weather, with proper footwear and a water bottle. The program is inclusive to all ages and physical levels. “Everyone can walk at their own pace and we are very flexible with how long and how far we go,” says Dr. Bouchard. Those interested in joining can email bcwalkinggroup@gmail.com or call Ms. Soucy at 458-7034.